This is a very easy and cute craft kids will love to do and it’s perfect for Valentines Day. Most of the Valentines’s Day decorations are out in the stores now so I bought the Valentines bucket and styrofoam ball at Joanne Fabrics. The first picture shows what you need to do. 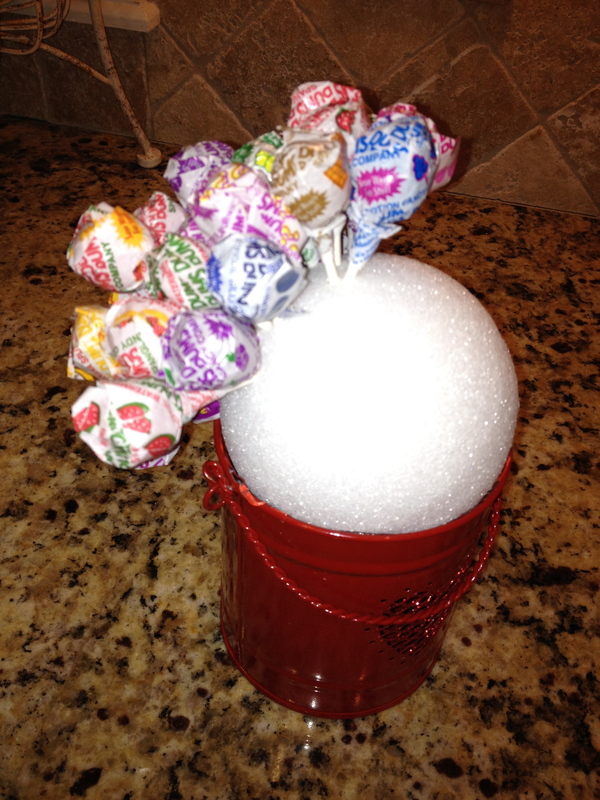 Take the styrofoam ball and hot glue it around the edge of the pot or bucket. Then you just plug in suckers tight in till it’s completely covered. I used dum dum suckers but there are a lot of choices out there. You can probably find some heart shaped suckers. If you think the white styrofoam ball will show with the type of suckers you are using , you may want to consider pray painting the ball first. Just let it dry completely and then plug the suckers in. The second picture shows it finished. It does take several bags of suckers. 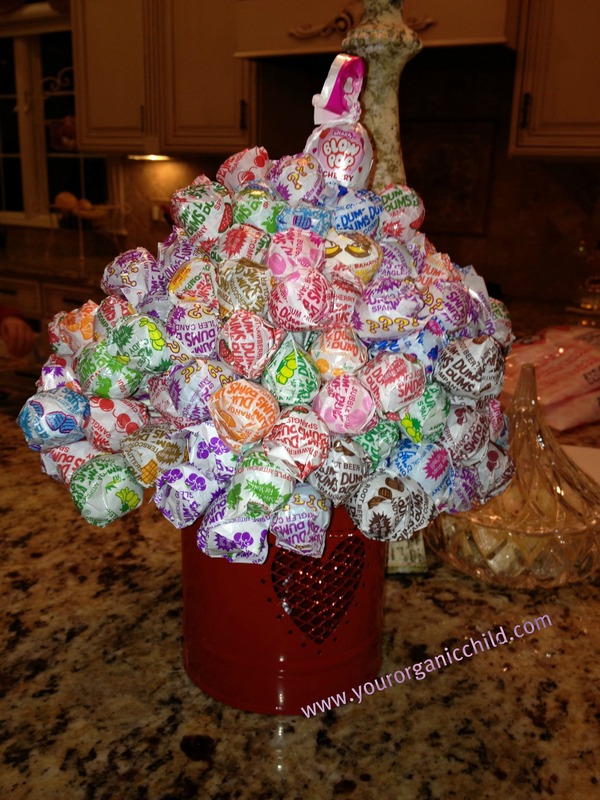 It’s a cute gift idea for a teacher for Valentines day or nice for a birthday party centerpiece. It’s pretty inexpensive to make and you can just keep refilling the suckers in the same holes as time goes on. Costco: Pre-Order 50 Stem Valentine’s Day Red Roses Just $49.99 + Free Shipping!